I am a Seeker Of The Truth: An introduction to myself as an Aquarian. My challenge is to balance my desire to have progressive and innovative attitudes with the most traditional circumstances in which I find myself. Culture, tradition and conservative values need to are in need of adjustment to my unique way of seeing things. One of the important lessons for me in this life is that of commitment. For many Aquarians, tying themselves down to a long-term relationship can be scary. Once I experience the joy of this undertaking in a mutually supportive relationship, I will feel so much more empowered as a human being. I can be highly strung at times. I should spend a little time meditating, especially on Saturdays, Wednesdays and Fridays. Meditating soothes my emotions, my nerves and will stimulate my spiritual awareness. I was born under this different star sign aquarius., and the dazzling and progressive planet Uranus rules me. This world endows me with power, electricity and a desire to be completely different to everyone around me Some astrologers refer to Uranus as the revolutionary planet, and indeed many reformers and revolutionaries were born under this sign. I am self-sufficient and prefer not to tread the beaten path. For me, life and destiny are carved and lived wholly and solely on my terms. I I have an enormous amount of energy, and I am determined and forceful in how I deal with others. At first, I can be seen as aloof and possibly even snobbish, but I like to assess people and the situation first before showing my hand. In some ways, this is a technique for gaining the upper hand in my relationships.I tend to be quite sensitive if others try to take control. My sensitivity reflects some of my earlier childhood issues at which times I found myself under the strict rule of my stepfather. Because of my upbringing, I was mindful of this fact and chose to be in total control of my destiny. I also realised that not everyone subscribes to my rather different philosophy of life and for this reason, I have to keep your ambitions in your back pocket until the appropriate time for fear of ridicule. I find I am very comfortable in the company of younger people. My tastes tend to grow and change with the times. I am certainly no stick in the mud even though I have reached middle age. Aquarians have a tendency to be drawn to the community and social issue,s so you’ll want to do something that will make a difference in this world. I had got involved in the past with groups and organisations that have a hand in uplifting the less fortunate in society. There are many leading reformers and helpers of the downtrodden, including Oprah Winfrey, Yoko Ono and, even would you believe, Germaine Greer, who spearheaded the women’s liberation movement back in the ’60s and ’70s. I have excellent organisational skills, and communication is very sharp. I like to work with others, and I like to express my ideas and come up with unique solutions to problems, both personal and professional. I like to get to the bottom of things, and this is due to my unique and mentally precise insights. 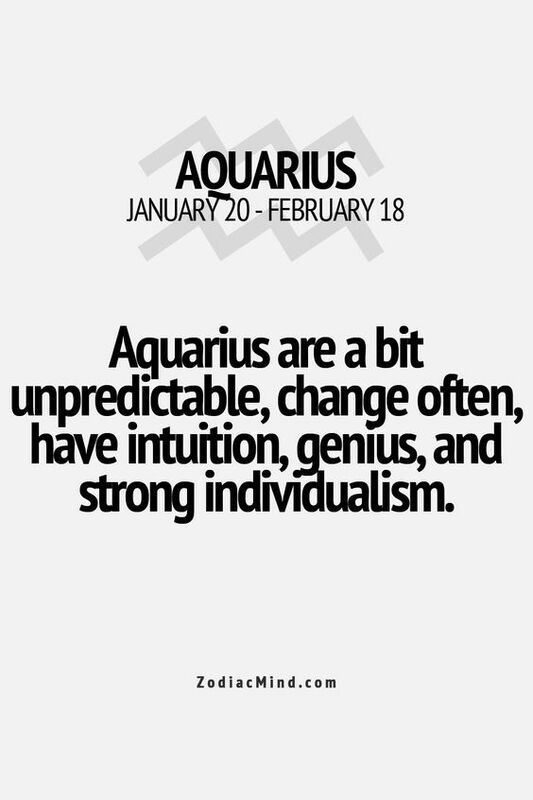 Aquarius is an air sign and is notorious for thinking. The mind is your realm and creating through ideas is second nature to you. I relate extremely well to anyone with whom I come in contact with as Communication is my forte.I believe I grow through the expression of ideas and helping my fellow man. I will continue to evolve as a human being throughout my life, and this is the one thing that truly fires me up. I am not afraid of challenges and, when arguing a point, I can be very impressive due to your background knowledge. Again, I am not conventional in the way I study, live or present my ideas but others give you credit for my originality. 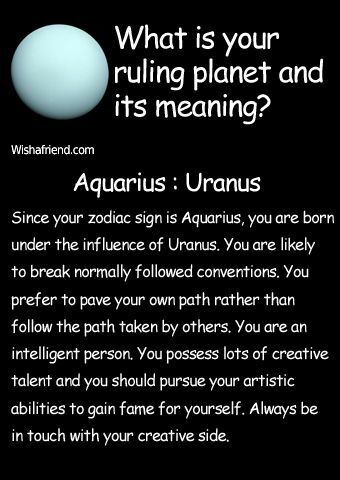 Uranus is also abrupt and thrilling by nature, so my life is never dull. In fact, my life, you’ll see it has been full of thrills and spills. Unexpected and surprising events occur at every step of your path. MyY far-reaching attitude sometimes overwhelms your friends and family members, and people see you as rather flamboyant, if not harmlessly mad. My approach to love and relationships is also fairly quirky. I don’t like anything conventional and prefer people who are a little different, as long as they can mentally stimulate me Anything but boredom, you say. 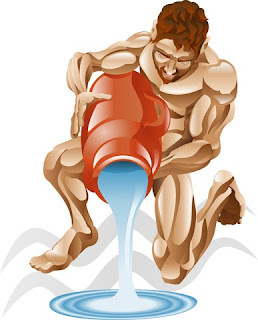 The sign of Aquarius is mainly male. 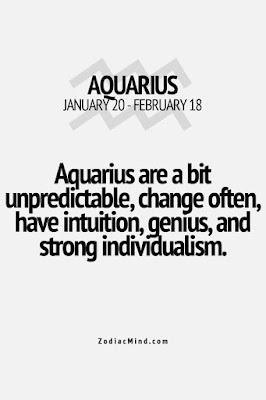 Unsurprisingly, Aquarius women exude a male-like quality about them, and they're unusually forward-thinking by nature.I AM undaunted, even in the face of challenge, and I almost always achieve what I set your mind to. 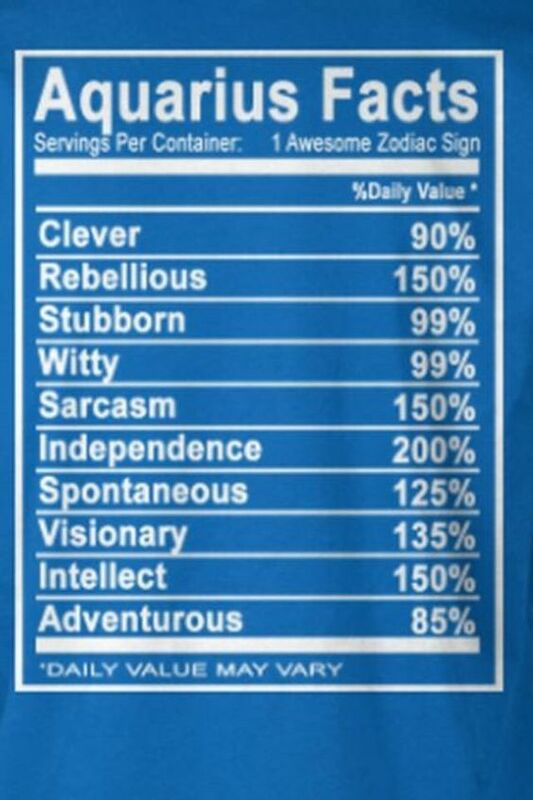 The courage that pulsates so powerfully within ME is fundamentally the male quality of this star sign. I at times offer an attractive perspective on the tricky setbacks in life, and I am blessed with innate creativity and a highly individualistic mind. I can effortlessly look beyond traditional conventions and rely on your own liberating and innovative grey cells instead. What makes me an Aquarian is a comfort and grace with which you blend within a circle of friends and stand uniquely apart. While you're endearing, on the one hand, you're also hugely challenging and unpredictable. I wouldn't be surprised if you attracted silent envy from your friends. After all, few are blessed with my spirited outlook towards life and the fearlessness with which you leap into the unknown. My energy levels. It makes me full of life, spontaneous and unusually forward-thinking. It also makes me rather changeable. There is no way of knowing when I will turn around and be at my worst. Those who know me are aware of just how hypersensitive I am, but they are entirely oblivious as to why. A lot of time could be squandered brooding over innocuous statements. It's not so much the statement that pricks me, but my judgment of people. At the same time, my heart is in the right place, and my motives are pure. self-confidence and innate leadership skills. These qualities have helped me along the way in life. I naturally exert a dominant influence on others, I will always find people who look up to me, even in social circles. I am exhaustive and methodical in your research. I spend hours doing research on various subjects. While this may be an asset, it can also be detrimental. I have a knack for finding fault. I can be the smooth talker who can intelligently weave all their facts together to present an argument that one can counter. 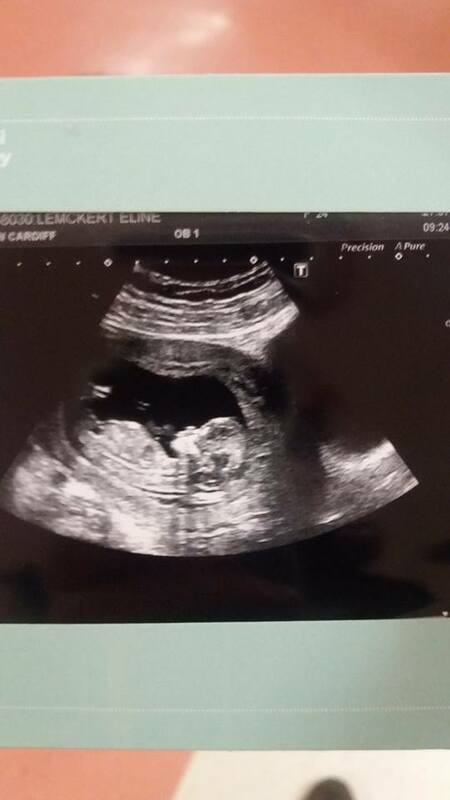 My reasoning is undisputed, and I am always well prepared for unexpected debates or discussions unless it is against my son or ex-husband. I also have a very delicate and humanitarian side to your personality. I am benevolence personified, and I fearlessly stand up for what is right. My heart is soft, provided I am convinced the other person's motives. And good research will always win you over! You may experience temporary bouts of lonesomeness or the feeling that you are not being backed up. IThis because you give a lot more than you receive, which creates a deep-seated void and the sense that you are being taken for granted. The only way to plug this is to tactfully voice your opinion rather than lounge around hoping the other person will understand. 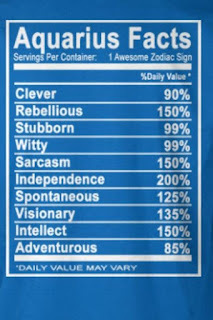 Aquarius is the eleventh sign of the zodiac, and it is the natural zone of friendship, sociability and innate humanity. This makes me instinctively friendly at heart, and I have the ability to bond with strangers and friends alike effortlessly. I am so impartial that I will often be the first to initiate companionship or break the ice. However, it's not as simple as it seems. My motivation for engaging in friendships extends beyond the mere idea of having a real time.